The FAA made the Record of Decision available at local libraries and on this website by December 21, 2018. The Notice of Availability of the Record of Decision was published in the Federal Register and in local newspapers on December 21, 2018. S. Department of Transportation, Federal Aviation Administration, Western-Pacific Region, Office of the Airports, 777 S. Aviation Boulevard, Suite 150, El Segundo, California 90245 U.S. The FAA made the Final EIS available at local libraries and on this website by August 31, 2018. The Notice of Availability of the Final EIS was published in the Federal Register and in local newspapers on August 31, 2018. For ease of accessing the document, FAA has divided the Final EIS document into the chapters and appendices listed below. It is recommended that the reader download each of these sections of the document to their computer rather than attempt opening the files directly from this website. 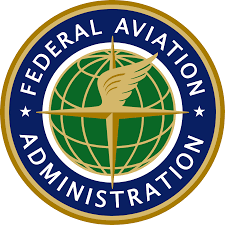 In accordance with Title 40, Code of Federal Regulations § 1506.10, the FAA and the USAF may issue a Record of Decision for the Proposed Action after 30 days have elapsed from the publication of the Notice of Availability of the Final EIS in the Federal Register. S. Department of Transportation, Federal Aviation Administration, Western-Pacific Region, Office of the Airports, 777 S. Aviation Boulevard, Suite 150, El Segundo, California 90245U.S. For ease of accessing the document, FAA has divided the Draft EIS document into the chapters and appendices listed below. It is recommended that the reader download each of these sections of the document to their computer rather than attempt opening the files directly from this website. The FAA made the Draft EIS available at local libraries on May 10, 2018. The official review period began Friday, May 18, 2018, and ended on Monday, July 9, 2018. This Purpose, Need, and Alternatives Working Paper provides background information on the Tucson International Airport, a description of the Proposed Action, and the Purpose and Need to which the FAA, USAF, and NGB are responding in evaluating the proposed action and alternatives. This Working Paper also identifies and evaluates all reasonable alternatives that respond to the Purpose and Need. The FAA is not making a decision regarding the Proposed Action in this Working Paper.